The Flippin’ FROG pool maintenance product is a hands-off cost-effective method that delivers clear and silky water to your pool all season long. The Flippin’ FROG is made of two cartridges that click together. The mineral cartridge is made to last all season, and the chlorine cartridge should be replaced every 3-4 weeks. 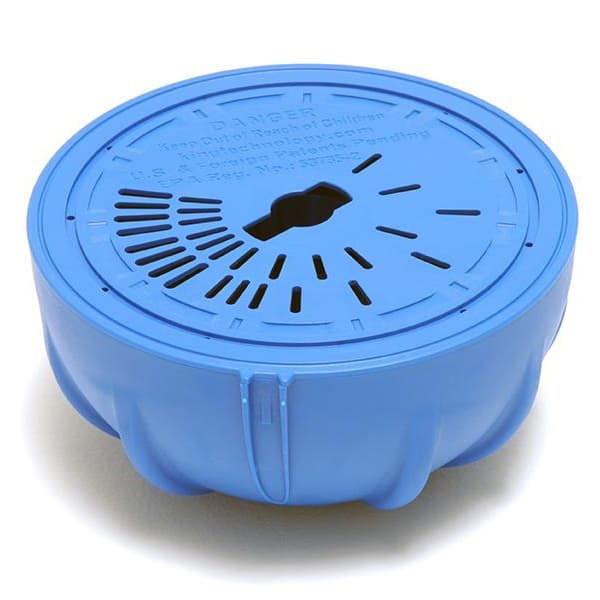 Users know when it’s time to switch the chlorine package, as the usually upright frog turns upside-down when the chlorine is empty. Simply recycle the empty chlorine cartridge, and click the replacement cartridge into place. The Flippin’ FROG will upright itself and continue to generate crystal clear, odor-free swimming water.